Day 1: Airport pick up. 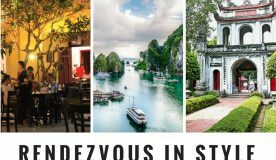 Stay at Hanoi Rendezvous hotel. 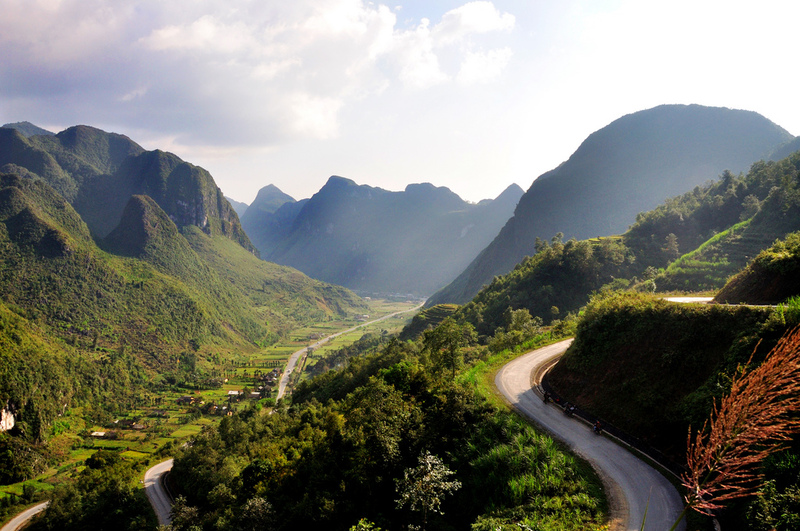 6:00: Van and guide will pick you up at Hanoi Rendezvous hotel and depart to Ha Giang. See the spectacular view of the Lung Tam, Can Ty valley among the four rocky mountain surfaces, with Mien river flowing through the villages of Hmong, Nung and many others ethnic groups. 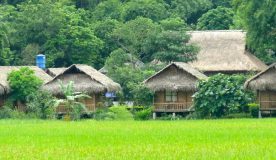 Learn how to make hemp fabrics from locally grown hemp in Northwest Vietnam. Talk to the local people to learn about their way of life, culture and customs. 18:30: Check-in yourhotel in Quan Ba town. Have dinner and spend your free time at night on freely exploring the town. 7:00: Have breakfast, check out and get ready to admire the wonderful scenery of Dong Van Karst Plateau Geopark. Then visitH’mong King Palace: The former residence of the legendary ruler of Ha Giang & continue to visit Lung Cu flagpole, the highest north pole of Vietnam. Standing there,you can see beautiful landscape down and a big flag at the top of the Dragon Mountain. 16:00: Transfer to Dong Van Ancient Town, check in yourhotel, have dinner and enjoy a night here. Overnight at Dong Van hotel. 07:00: Have breakfast and walking around Dong Van to see the local life with unique culture of ethnic minorities here such as: H’Mong, Lo Lo, Tay, Nung. 08:00: Start to visit one of the most Vietnam famous passes:Ma Pi Leng Pass. Admire the majestic beauty of the Ma Pi Leng Pass which lies on Happiness road and contemplate the poetic Nho Que River below. 12:30: Have lunch and transfer to Hanoi. 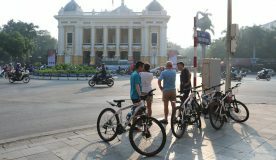 20:00: Arrive at Hanoi & drop you off at Hanoi Rendezvous hotel. The package price is US$255 per person. hotels located in the centers, 2 people sharing 1 room on day 1,2,3.